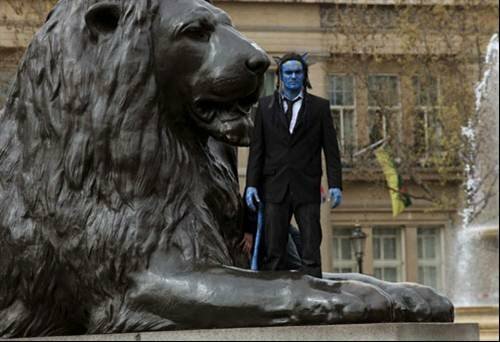 Stephen Lang, who stars as Colonel Miles Quaritch in the film appears in character in London’s Trafalgar Square. Visitors to Hyde Park were greeted with a high-tech model of the Tree of Souls from James Cameron’s film Avatar last weekend. The tree, which featured 20 miles of fibre optic cable, used sophisticated sensors to allow visitors to interact with the tree, change its colours and upload photographs. Hello Mr. Goodwin. I have been admiring your photo of the Avatar Tree of Soul's. I am curious about the copyright. I am making a miniature of the Tree of Souls for a show my miniature group is holding and I wondered if I could use your photo alongside my version of the Avatar Tree?